Every coop we build is made from high-quality materials to provide unparalleled value for years to come. 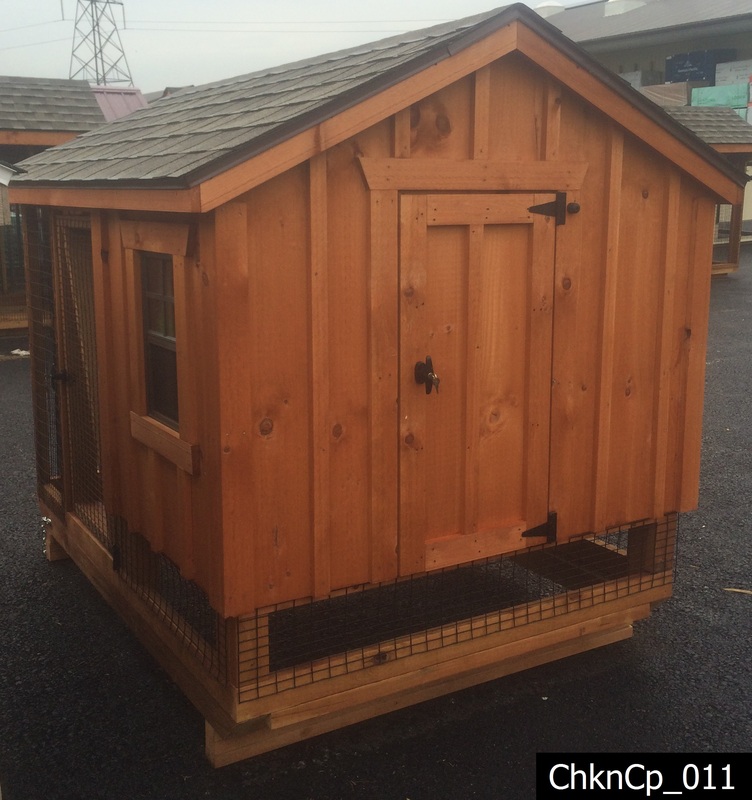 We offer a variety of attractive coop styles that will enhance your backyard and provide a comfortable home for your chickens that is easy to maintain. Choose from a variety of styles, models and sizes to fit any budget. 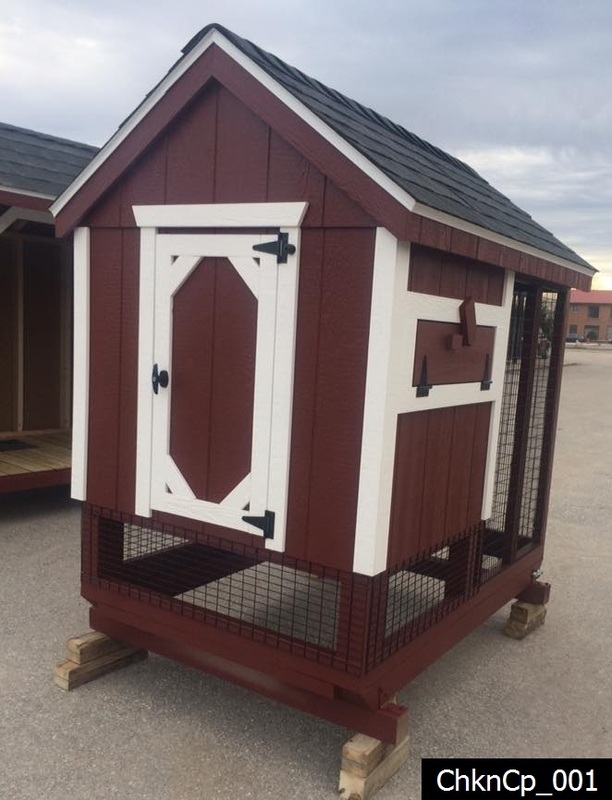 Featuring classic styling with simple, straight lines and beautiful trim, our A-frame chicken coop is a popular choice for those who appreciate traditional styling. 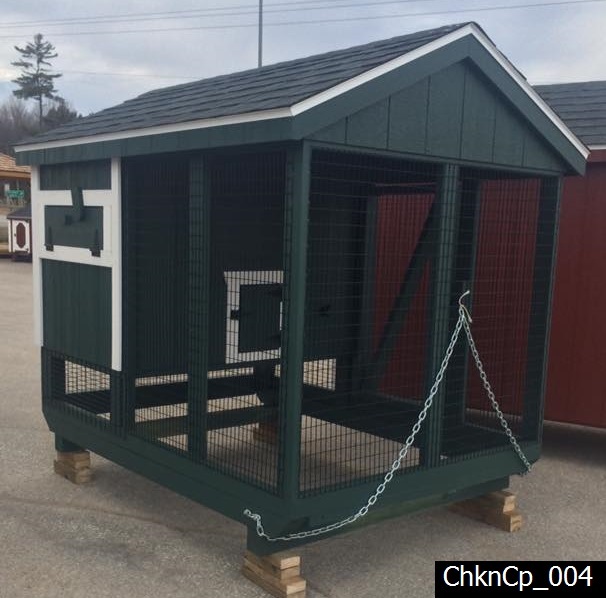 Available painted or with board and batten siding, the A frame chicken coop offers plenty of head room, making cleaning a snap. 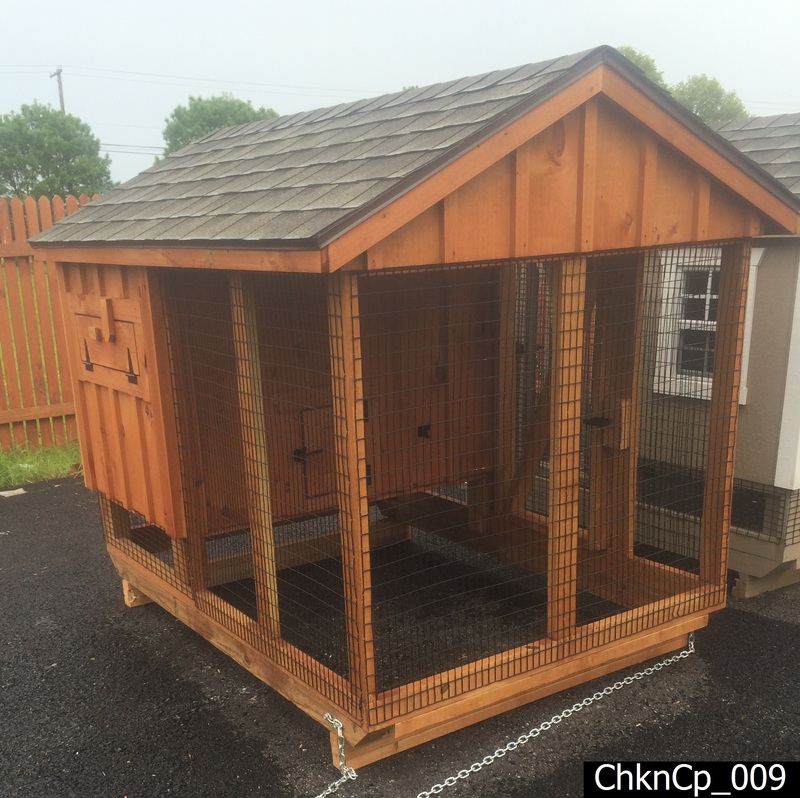 Our Combination chicken coops feature a henhouse with an attached chicken run for added versatility and safety. Available painted or with board and batten siding in a variety of sizes and configurations. 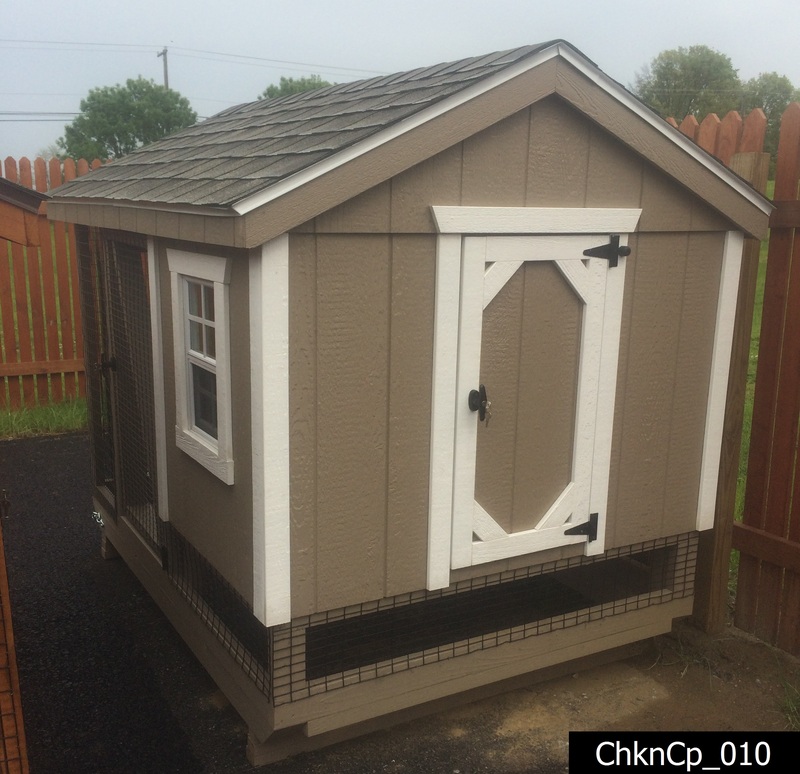 Our Dutch chicken coop features quaint hip roof styling that gives it the look of a miniature barn. The wide roof maximizes usable interior space for added versatility and easy cleaning. 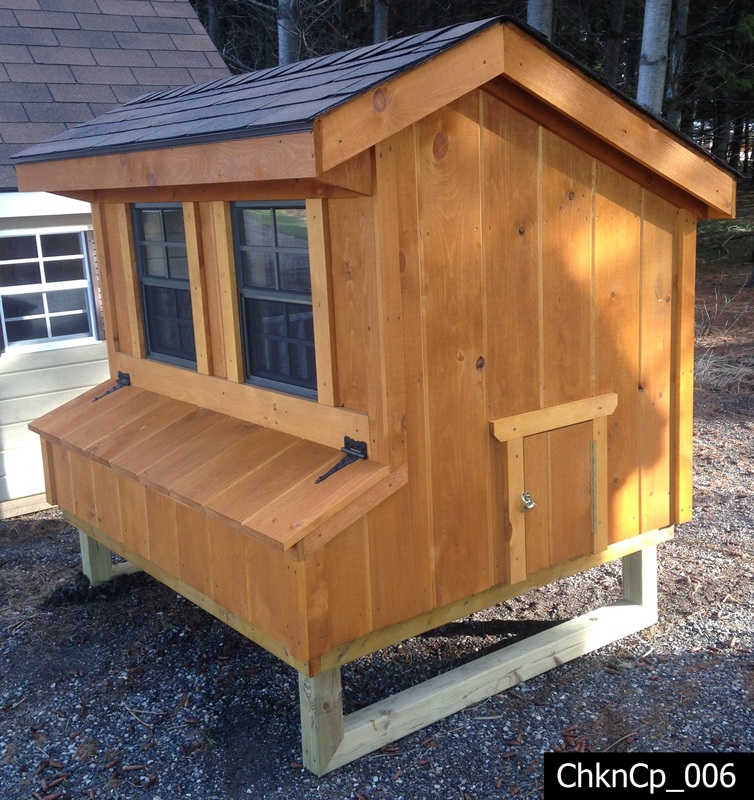 Built to fit conveniently against a building or wall, the Lean-to chicken coop is the perfect space-saving solution. Available in painted styles or choose board and batten siding for rustic good looks. Built with a distinctive roof line and overhang, our Quaker coops are inspired by barn designs of yesteryear. This style offers maximum headroom for easy maneuvering inside. Available in painted styles or choose board and batten siding for a rustic look and feel. 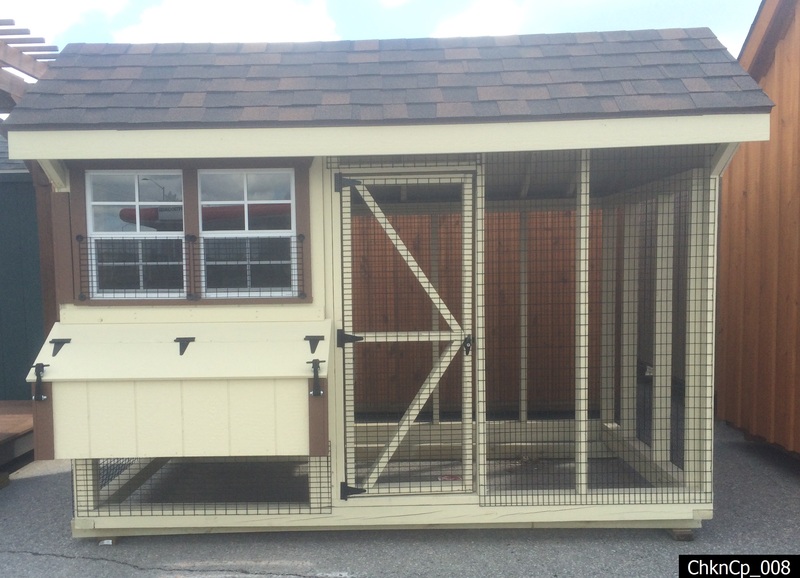 When you need to move your chicken coop regularly, a mobile chicken coop (also known as a tractor) is likely the best option for you. Our tractors are a favorite choice for those who rotate their chicken coop daily in order to fertilize various areas of their land. 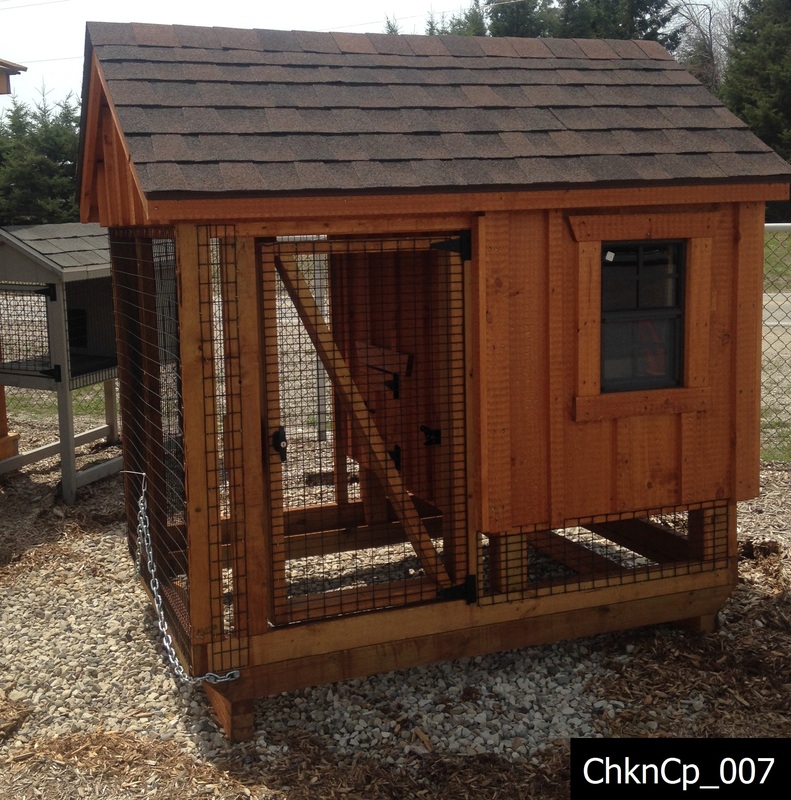 We’ve worked hard to ensure that each moveable chicken coop in our collection is crafted specifically for ease of mobility. 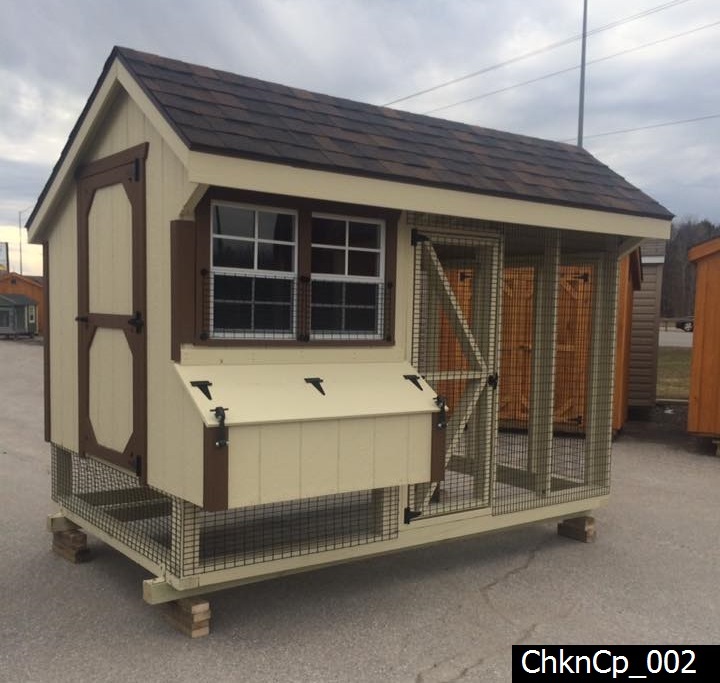 Every mobile chicken coop we offer is handcrafted with the same attention to detail and quality that all of our products feature. 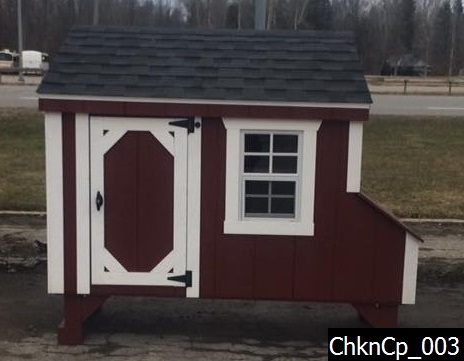 We stock coops that cater to nearly anyone’s design preference, with models competitively priced to fit your budget.